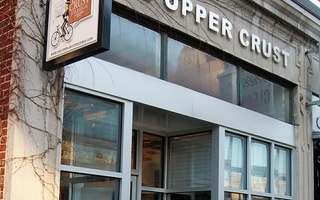 Harvard Square’s Upper Crust Pizzeria, which closed in the wake of a company-wide legal scandal last November, will reopen as the renamed and partially worker-owned The Just Crust, ushering in a new era for employees of the embattled chain. Shannon E. Liss-Riordan ’90, who represented Upper Crust employees in a labor abuse case against the management, spearheaded a fundraising effort to purchase the Harvard Square location when the pizza chain’s ten leases were auctioned off in December 2012. In 2009, the Department of Labor mandated the company to pay approximately $340,000 to a number of workers who claimed they were not paid overtime. Liss-Riordan, who is also a graduate of Harvard Law School, filed a lawsuit against The Upper Crust in July 2010, shortly after founder Jordan Tobins allegedly demanded that the employees pay back their overtime wages in order to keep their jobs. The case was eventually granted class-action status in July 2012, allowing Liss-Riordan to represent all of the aggrieved workers. When The Upper Crust filed for bankruptcy in October and the company closed its 10 storefronts, Liss-Riordan started thinking about a way to reopen the restaurants and further help the employees she had represented. Haluk Ozek, owner of Monella Boutique on Brattle Street, partnered with Liss-Riordan to purchase the pizzeria at the auction. 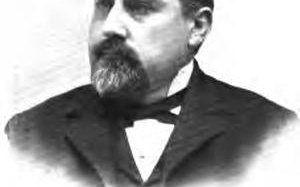 He said he immediately loved Liss-Riordan’s idea of giving ownership shares to the employees. “Because we’re a small business, we understand protecting the rights of workers,” Olek said. Ozek added that the new restaurant will focus more on providing superior food and service than on merely turning a profit. 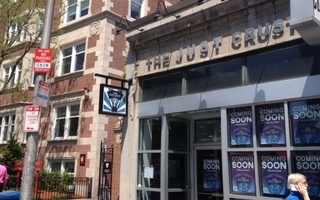 As a Harvard graduate and former resident of Brattle Street, Liss-Riordan said she hopes The Just Crust will be popular among students and become an important part of the Harvard community. Liss-Riordan said she hopes for The Just Crust to open by March. She said she is also still involved in potentially acquiring other former Upper Crust locations. —Staff writer Nikki D. Erlick can be reached at nikkierlick@college.harvard.edu. The pizzeria violated the Fair Labor Standards Act by withholding full overtime pay to employees and keeping faulty records of their work hours, according to investigators.